I received an unexpected package from Urban Decay a couple weeks ago. It was the NEW Urban Decay Elements Palette! 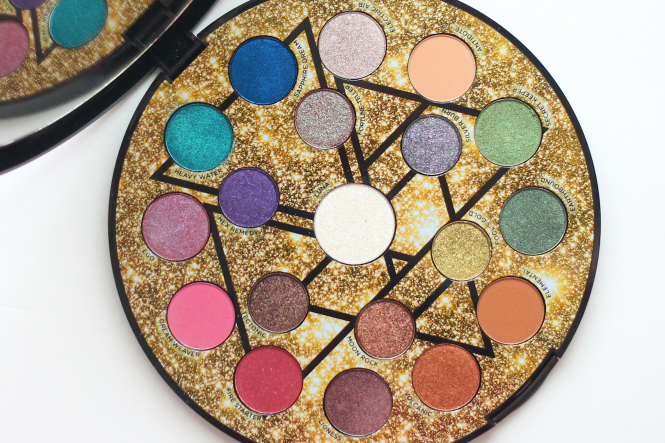 This palette is in a really unique circular compact. 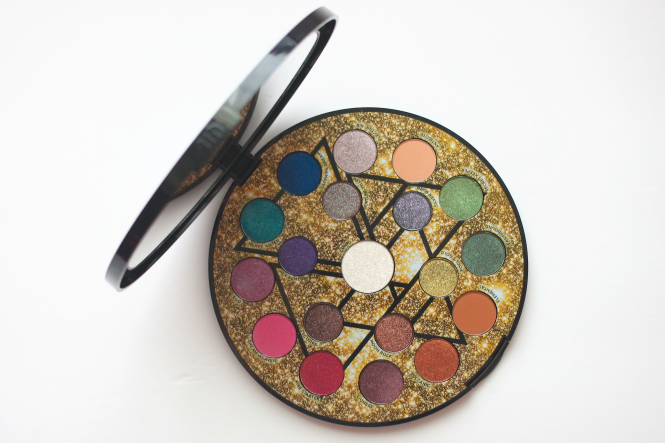 The Elements Palette features 19 eyeshadows and most of the shades are metallic or shimmery finishes. 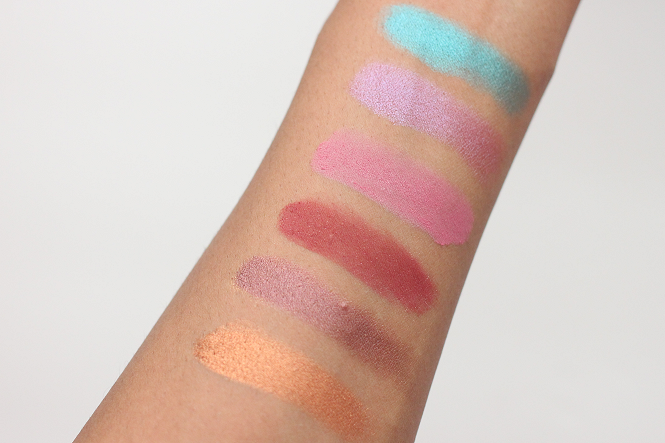 There are also a few matte shades that help bring a nice balance to the palette though. Description: Inspired by the elements - Air, Earth, Fire and Water - a constellation of unique colors orbit around Luna, an ultra-iridescent transformer shade. The 19 new multidimensional pigments include bright mattes, holographic shimmers and molten metallics. UD predict you'll love Fortune Teller, a metallic magenta with green 3-D sparkle and shift. And Hex Remedy is an iridescent purple that really raises your vibrations. I'm obsessed with the packaging for this palette. I love that it looks like a constellation. 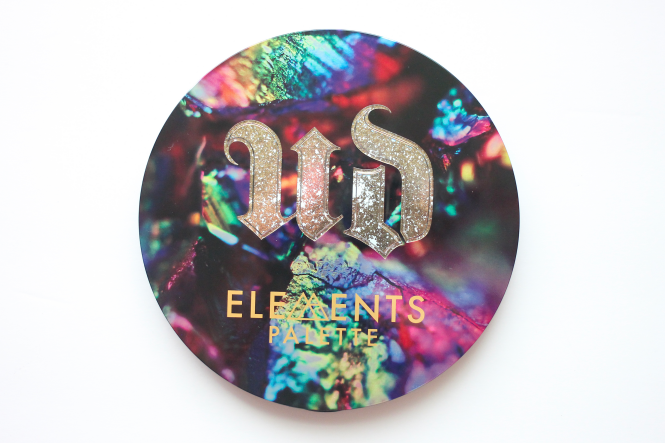 Check out swatches of the Urban Decay Elements Palette below! 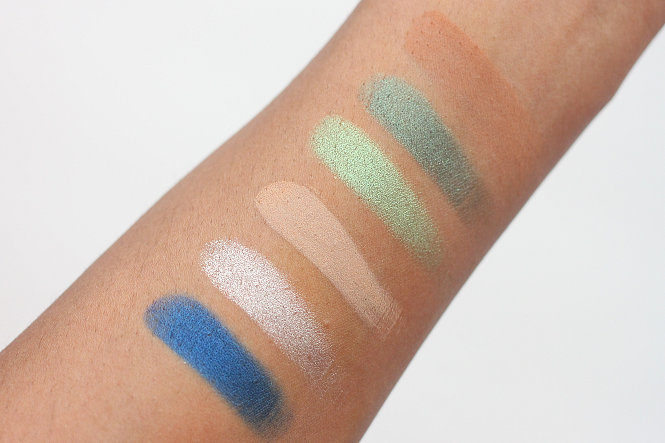 A few of my favorite shades in the Elements Palette are Luna, Sapphire Dream, Fortune Teller, Moon Rock, and Fire Starter. I must say I'm super impressed with the quality of this palette. 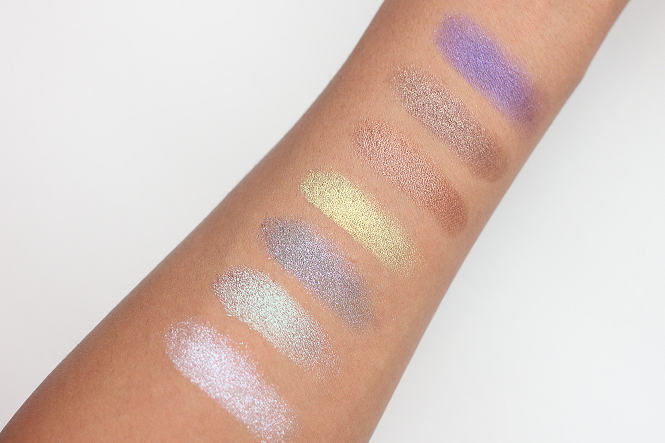 It's definitely one of Urban Decay's best product releases of 2018.